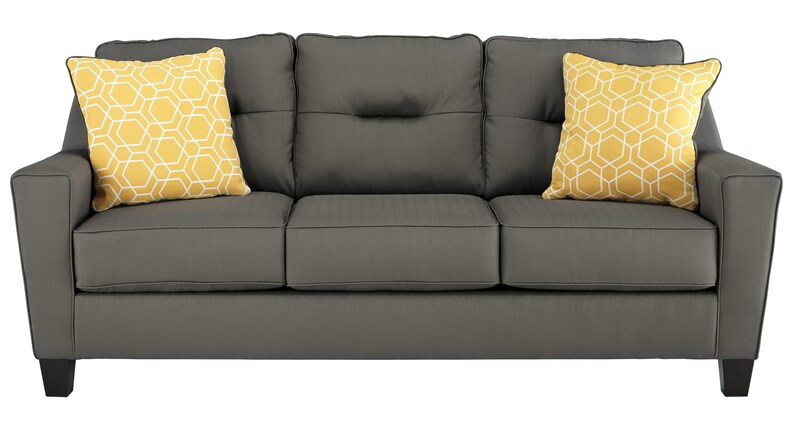 Sporting a fresh, clean aesthetic and crisp, contemporary profile, the Forsan Nuvella™ sofa sleeper in gorgeous gray is where high style and low-maintenance living really come together. More forgiving by nature, its sumptuously soft Nuvella performance fabric cleans up beautifully. Designer elements include tapered low track arms, box cushions and linear tufting for a punch of mid-century modern flair.